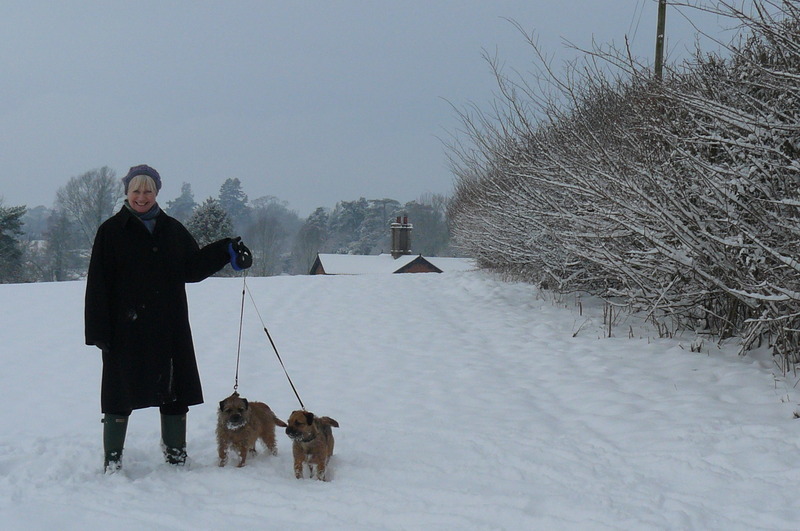 Born in Leicestershire as Jane Mugglestone I became Jane Ashdown in 1966 when I married Julian Ashdown. In 1988 I changed my name to Jane German (German being my mother’s maiden name). I moved to live and work in the Waveney Valley, East Anglia in 1992, where for the past 20 years I’ve been painting full-time. 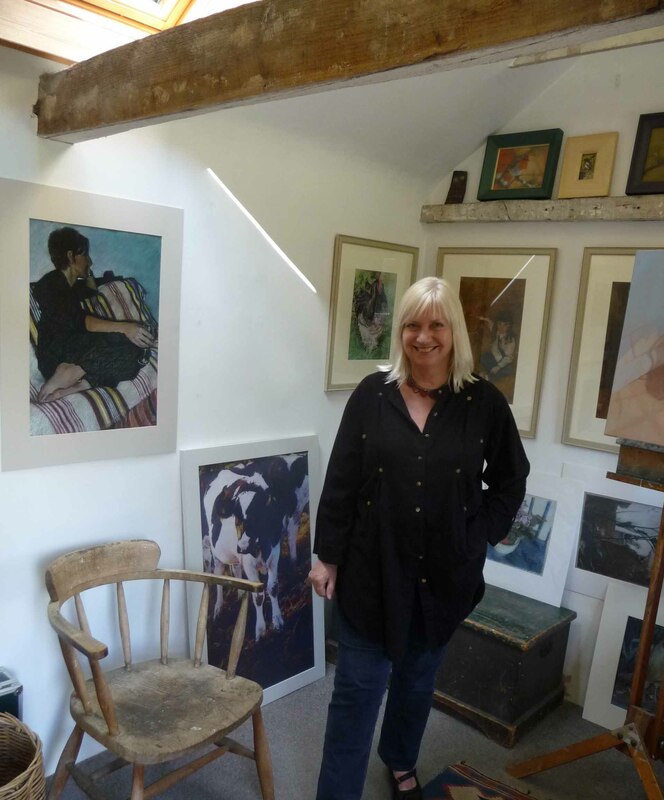 I work from my studio at home and exhibit work in Galleries and Exhibitions. I studied at Loughborough Art College where I qualified with a NDD (National Diploma in Design) in Printed Textiles Special. This was followed by a post-graduate ATC (Art Teacher’s Certificate) at Brighton Art College after which I taught for 35 years in London, Berkshire,West Sussex & East Anglia. 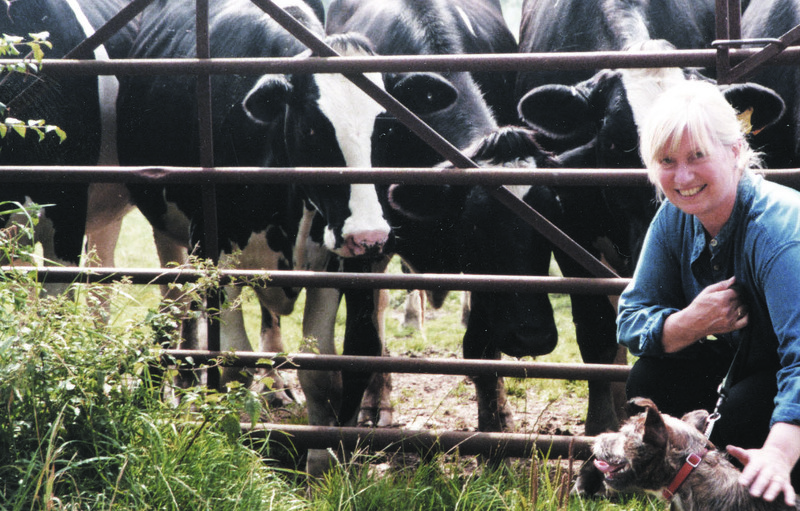 More information on CV and Biography pages…..
Me with some of the cattle that have inspired much of my work since 1992. Sadly this dairy herd, which has grazed in the water meadows alongside my house for fifty years, were sold in 2011 when the farm’s dairy business closed down. 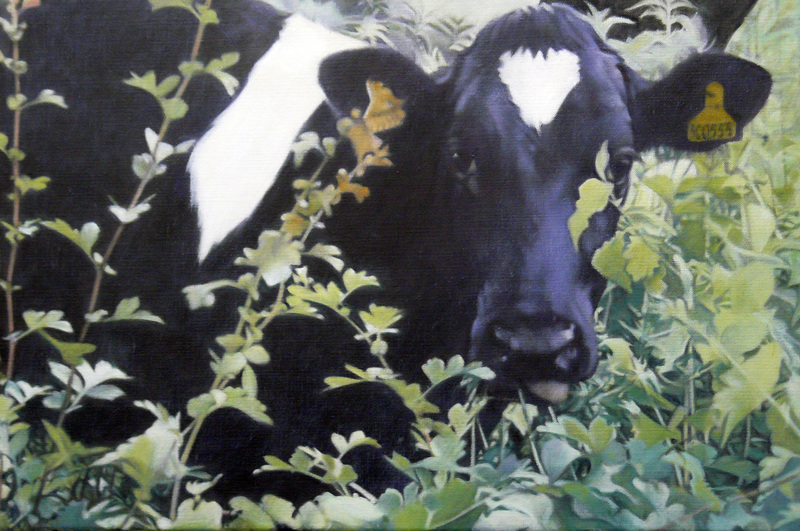 I am glad to have retained a record of them in my cattle paintings. Friesians have featured largely in my paintings of recent years.The leaves, tendrils and branches and other hedge foliage that frame the cattle are given equal importance in my compositions, resulting in a subtle blend of colour and texture, as in a tapestry. The mapping of black and white markings on the cattle give rise to abstract shapes contrasting starkly, but at the same time harmonising with, the camouflage of the hedgerows.